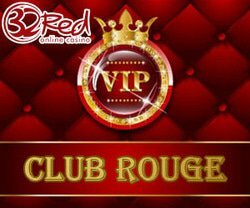 VIP players who have accounts at 32Red Casino will benefit from some outstanding rewards as they become members of the Club Rouge. This new VIP club at 32Red Casino offers many amazing perks and is reserved for players who are invited to join. VIP membership is based on playing history and deposits that are made at the site and if any player feels they should be eligible for this amazing club, they can contact the support team and their account can be reviewed. In general, players who have achieved the Platinum tier of the loyalty programme will be considered for entrance to Club Rouge. Many members of Club Rouge have earned amazing rewards and incentives by being a loyal member at 32Red. Some players have won VIP trips to LA that include Lakers tickets, some have won a Private Box at Manchester United games and others have enjoyed VIP Hospitality to many of the greatest Boxing Matches held around the world. There are endless offers that are up for grabs and players can earn these just by returning to 32Red for all their gambling needs and achieving the highest level if loyalty play. Players who have accounts at 32Red can continue to earn amazing Club Rouge rewards just by accessing their account and playing games. This can be done by playing at the desktop site as well as by engaging in thrilling play at 32Red Casino's mobile casino for phones and tablets. Any player that gets invited or accepted to the Club Rouge VIP club at 32Red will enjoy amazing benefits as a gambler. Each player will collect additional Red Rubies that can be redeemed for cash and this comes with no wagering requirements. The Cub will also present players with a great Birthday Gift, which will include 5,000 Red Rubies that can be redeemed right away for $50 in free cash. Birthday members will also get a special 200% match offer that can be worth up to 500 free chips to use on games. Each month, Club Rouge players will get two bottles of champagne along with fine chocolates or Cuban Cigars, all on the house. Not only will players enjoy these mentioned perks, but they will also have access to the most exclusive casino bonuses and promotions from 32Red that can include free chips, added Red Ruby rewards, bespoke bonuses and other special game rewards. With personal support and VIP managers, VIP players who become Club Rouge members will enjoy the best possible experience that is catered to their specific needs. All members of the club will have to adhere to the 32Red Casino terms and conditions. With these terms, players will have 90 days to make use of Red Rubies that are collected and any and all bonuses that are awarded will be placed in the Bonus Balance of the account and will be subject to play through requirements. All standard casino terms will apply to any promotion or bonus that is offered to VIP club members.